You are looking for a stereotypical italian accessory? Here it is! 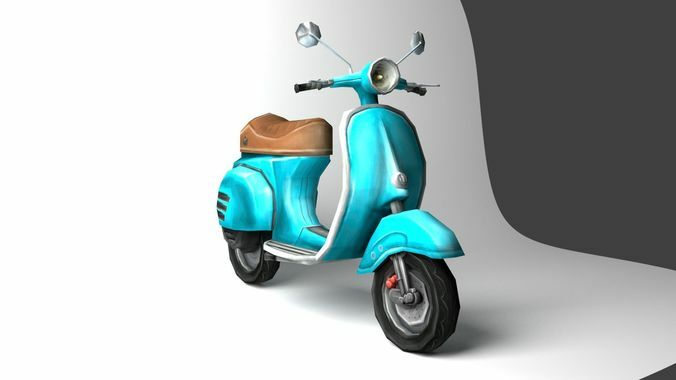 A little lowpoly model of a Vespa-scooter. As you can see in the pictures, the geometry of the vehicle is reduced, but not in the detail of the textures. With its simple mesh, this vehicle is ideally suited for implementation in mobile games as well as consoles or PC games. The textures are completely handpainted.